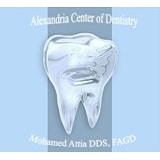 Alexandria Center of Dentistry (Alexandria) - Book Appointment Online! At Alexandria Center of Dentistry, Dr. Attia and his staff, offer personalized patient care in a relaxing, friendly and professional setting. Located in Alexandria, VA, Dr. Attia is a highly-qualified dentist with over 14 years of experience. We love our patients, and they love us! Some of our patients come from hundreds of miles away to be treated by Dr. Attia. Our Alexandria office is conveniently located close to Springfield, Arlington, Fairfax, Annandale and Burke in Northern Virginia. We will submit all dental insurance and are participating providers with Principal Financial Group, Delta Dental, Metlife and Cigna Dental Discount Plan. Dr. Attia is a general dentist, who is passionate about cosmetic dentistry. He’s also a restorative dentist who treats very complex cases and specializes in putting patients at ease by offering different options including conscious sedation.